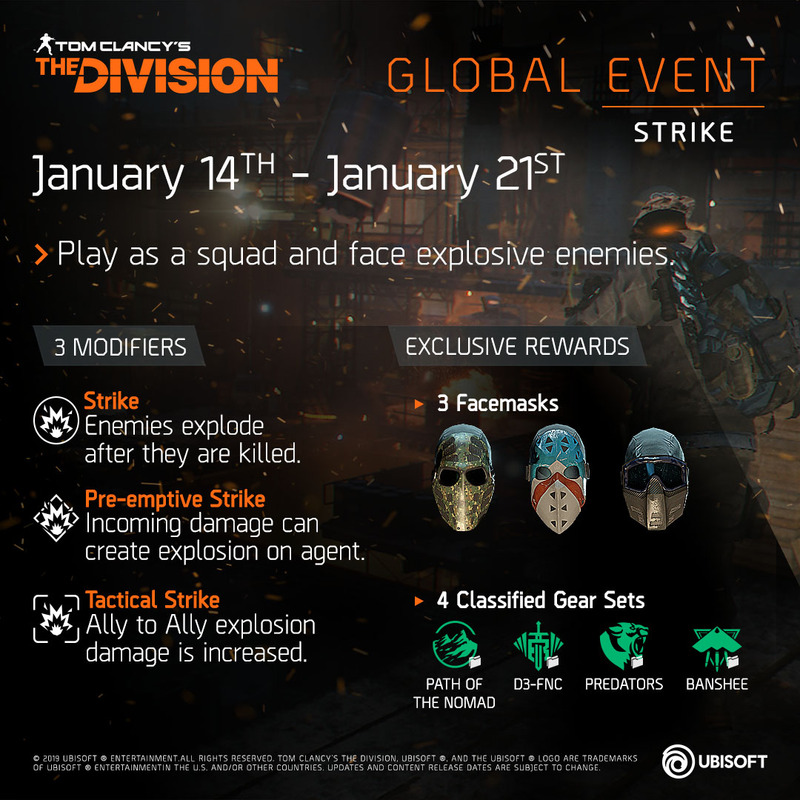 The third Global Event, Strike, is returning to The Division! Strike—Always active. Enemies explode when killed. Pre-emptive Strike—Strike behavior, plus sustained incoming damage triggers a small explosion on Agents. Tactical Strike—Pre-emptive Strike behavior, plus enemies are marked using Strike explosions. When killed, they damage remaining enemies. Ally-to-Ally explosion damage is increased. The event works the same way Strike has in the past. The Classic, Rider, and Jungle masks will be available alongside vanity rewards. Please note if you've already earned Strike's weapon skins and vanity outfit, leaderboard caches will not yield new rewards.